Doing a sugar detox can sound like it will be hard, and scary, and you feel like you don’t really know what to expect. 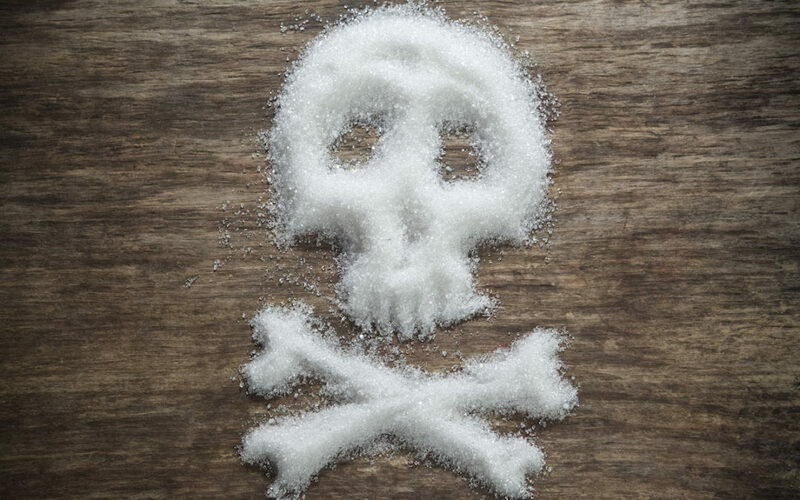 (You can read about how to know if a sugar detox is right for you on my personal blog). In the past, I’ve had varied successes with quitting sugar through doing a three-week sugar detox process. Some have been wildly successful, with great weight loss and better skin and mood, and others, well… I fell off the wagon a few days in. The ones that have been more successful are the ones that incorporated the following tips! Learn from my failures, and know that these are the things that will make quitting sugar easier for you! The number one thing that will help you to be successful is to find a friend (or a group of friends) to do a sugar detox with you. Group support is huge for asking questions, venting frustrations, and getting ideas for recipes or what to cook for breakfast. We do a group sugar detox called the Restart Program, a 5-week program which teaches you all the foundational aspects you need for optimal health, with a 3-week sugar detox in the middle. You can also read my book Radiant Reboot or do an online program such as I Quit Sugar or the 21-Day Sugar Detox, or go through the 21-Day Sugar Detox books together with a friend or spouse. Sugar cravings will happen, and there are a couple good tricks to dealing with them. The first is to make sure that you’re eating plenty of good fats to keep you satiated. For the first couple of weeks, you will likely need to eat a little more often as your body learns to adapt to burn stored fat for energy in between meals. Making snacks high in protein and fat will help keep you full. The second tip is to supplement with L-glutamine, an amino acid that makes the body think it’s had sugar and amazingly makes sugar cravings go away in a matter of minutes. This is especially helpful during the times where your energy is a bit slumped and you don’t have the motivation to cook a proper meal. Once a week, do a huge batch of preparation. Cook and slice up various meats, chop up veggies and put them in individual containers in the fridge, and make a bottle of salad dressing with extra virgin olive oil, apple cider vinegar, salt, and pepper. You can build a stir-fry of sorts by cooking the pre-chopped veggies in butter or coconut oil in a skillet, adding the meat just enough to reheat it, and voila! Dinner! You can also build a salad with the greens in the bottom, layering various colorful chopped up veggies, adding the chopped meat on top, and finishing with dressing. For snacks, go for things that are high in fat that help keep you satiated. Chopped veggies with almond butter, EPIC® Bars (buy them on Amazon or make your own), a handful of macadamia nuts, or just a spoonful of coconut oil mixed with almond butter are all great options. Journaling is a good way to help track how you’re feeling throughout the process. It’s also a good way to be able to look back and see how far you’ve come! You can track in a written journal, in a document on your computer, or you can decide to start a blog and chart your progress that way. It’s amazing to look back at the first few days of the sugar detox and realize how different you feel when you get to the end. You realize how much clearer you’re thinking, how your skin is better, and that your pants are fitting better than when you started!